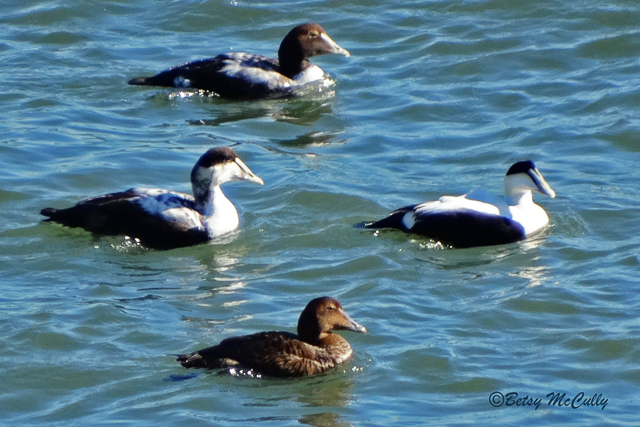 Common Eiders (Somateria mollissima). Male and female. Oceans. Winter visitor.